Are you familiar with this fruit now? While I was growing up, we call it “green pear” but it’s popular name is Avocado. actually help you burn fat too? When you combine it as part of your daily diet, it can help you lose weight and help you become healthy. The Avocado is a very unique type of fruit. Infact, many weight loss dietitian call it a “super food”. That is, a food that is incredibly nutritious and does the body a lot of good, including aiding it to lose weight. The Avocado is a fruit from the avocado tree, and biologist call this tree Persea Americana. Some people call this fruit Alligator Pear, simply because of it’s rough skin…like an alligator. But Avocados are incredibly nutritious and pack with a lot of ingredients that particularly help with weight loss. The fruit contains Micronutrients such as Vitamin K, Folate, Pottasium, Magnesium, Manganese, Iron, Zinc, phosphorus, Vitamin A, B1, b2 and B3 etc. The fruit contains just 160 calories, and has 2 grams of protein and 15 grams of healthy fat. 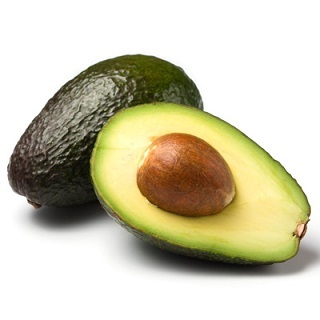 Avocado even though contains a high proportion of fat, but this fat is known as healthy fat. Avocado is very high in fat! But don’t be confused. The fat in Avocado is VERY healthy. That is, you can eat this fat, without getting fat. That is, if you eat it, the healthy fat will fight fat out of your body. And this fruit does not contain any cholesterol at all and is very low in saturated fat. When you eat Avocado, your body’s bad cholesterol will reduce, and will prevent you from getting heart disease. Many people would be surprised that a food that is high in fat can be considered good for weight loss. When you eat Avocado, it makes your stomach full easily and prevents you from getting hungry. 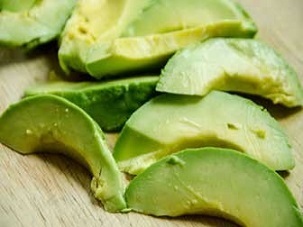 The avocado reduces hunger and satisfies your appetite which prevents you from eating other junk foods that causes fat. Not only that, a research published in the Nutrition Journal reveals that avocados can help to regulate blood sugar which in turn prevents or help with managing diabetics. There are so many ways that you can eat Avocados, but I’ll share with you 3 major ways that I have consumed it that I find tasty. You can slice one avocado into two halves with a knife and remove the big brownish seed in it. Then sprinkle a “little salt” on the two sides and then use a table spoon to scoop the fleshy avocado and eat it as it is. You can add avocado to your vegetable salad to garnish it. The avocado will give your vegetable salad a nicer taste and make you become full easily from eating it. You can combine 1 peeled ripe banana with Avocado and cucumber and lettuce with almond milk or yoghurt. Then blend this mixture to make a smoothie using a blender or smoothie maker or juicer. Then drink this mixture as a form of breakfast. Rather than spreading margarine (we call it butter) on your bread, you can marsh avocado into a paste and spread it on your brown bread instead. You can also add this mashed avocado to your boiled potato or yam to eat too. Avocados are readily available in the market for you to purchase. Whenever you find it, please buy it and use it as part of a meal like I have explained above in this article. Then I want to advice you to get a copy of my 100% Nigerian Fat Loss Cookbook at this link. Thanks for reading and if I may ask, do you eat avocado or have your own special way of eating it, then please leave me a comment below to tell me your experience.